When my family gets together, there’s usually a big debate about what will make the ultimate burger. Do you take yours with Cheddar, lettuce and tomato? Maybe you’re a blue cheese kind of gal? Go crazy and add feta with black olives. 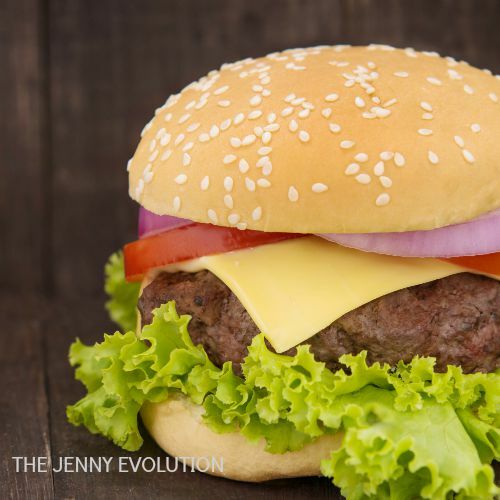 Just what is a Jenny Burger, you ask? I got tired of eating just plain burger patties whenever we had a picnic. I kept thinking there had to be a better way to infuse flavor in the actual burger while letting everyone add their own toppings and spin to their meal. This post contains affiliate links. We first served Jenny Burgers at a picnic and people went wild! My husband and I were surprised at how people kept gushing. We knew we had hit something. And my husband, in his infinite wisdom (ha!) named the burgers after me…. 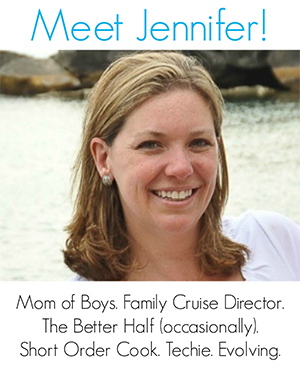 Jenny Burgers were born! After many years of keeping this to myself, I’m sharing my recipe. Because, really, you shouldn’t have to suffer through another boring burger again. Dice the large white onion. While you’re at it… learn how to cut onions without crying. Mince a clove of fresh garlic. If you’re someone who likes serious punch, add in an additional clove (that’s what we do!) Note: Don’t use dried garlic as it won’t reconstitute without added liquid and flavor the meat. Mix in 1 cup of onion and all of the garlic. Add in some salt and pepper for taste. Divide your burger meat into 3rds or quarters. I make monstrous burgers for the boys! Even so, it seems everyone always finishes it. Grill away, and go team go! While you’re getting the ingredients ready, learn the trick to cutting onions without crying! Dice the large white onion. Mince a clove of fresh garlic. If you're someone who likes serious punch, add in an additional clove (that's what we do!) Note: Don't use dried garlic as it won't reconstitute without added liquid and flavor the meat. I love a good burger, I tend to cover my in tomato sauce and or a hot sauce, the addition of Worcestershire sauce sounds wonderful, thanks for sharing #weekendpotluck. You’re going to love the addition of the flavors. I just got so bored that I started playing with a recipe that would work for everyone. My husband, who has fallen in love with the recipe, then deemed it Jenny Burgers. The name stuck! 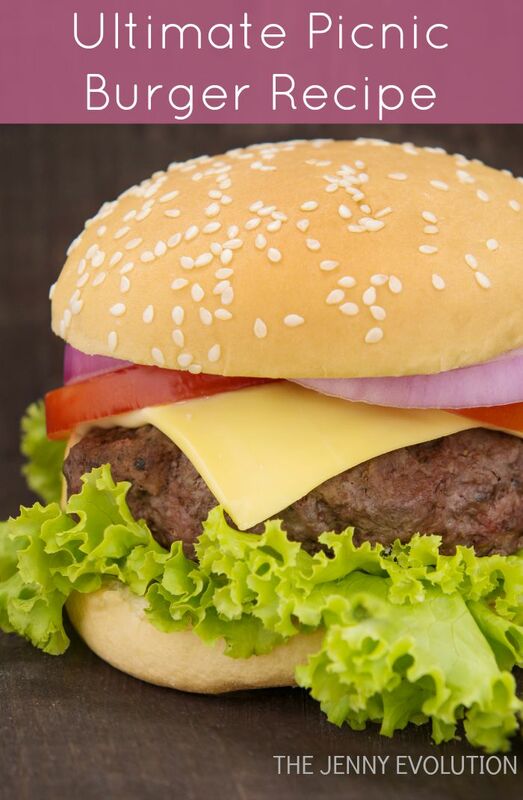 What a delicious looking burger, and easy to make too! Thanks for linking up with us this week at the Best of the Blogosphere! We’d love to have you back for a new link up tomorrow! Now, this looks like a good burger. It makes me think of how much I’m going to miss summer bbq’s! Thank you for sharing this recipe on #HomeMattersParty! My burger recipe will change how you think about your plain ole burgers. Happy eating! oh I just want to take a bite out of the picture!! Thanks for sharing on the What’s for Dinner link up! Ha! It’s a celebration in my house when I pull out the Jenny Burgers 😀 Happy eating! 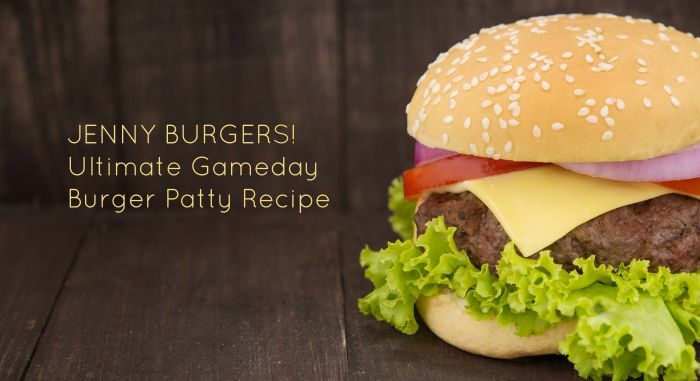 Ultimate Game Day Burger? More like dinner tomorrow burger! LOL only thing missing is a beer. That is one big beautiful Jenny burger! My Mom used to do something like that – but no onion – I’m going to try your version for sure! Hi Jenny, love this. Would you like to share this with the other participants in Food on Friday over at Carole’s Chatter? I have a weekly link up party – each week there is a different ingredient or theme. The current theme is BBQ! Your Jenny burgers look delicious. I completely agree about burgers being a little boring. This sounds so similar to what I do too! I add a tiny bit more worcestershire (I just love it) and balsamic vinegar. 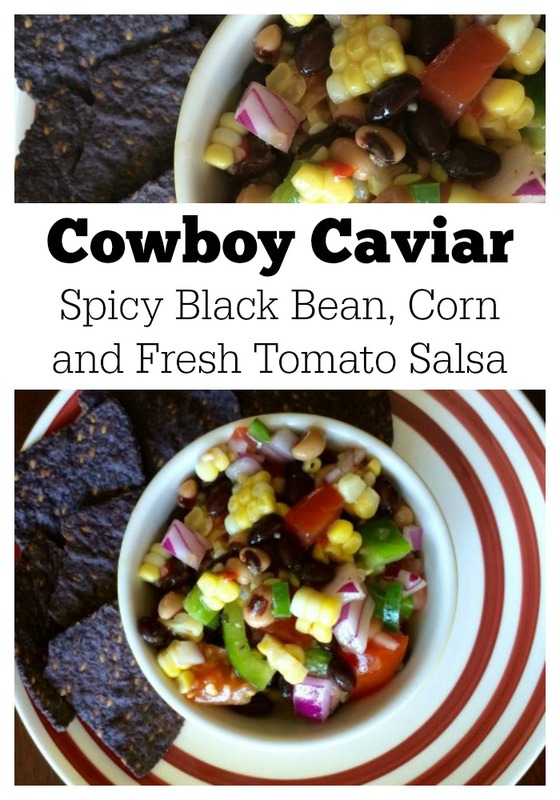 Also love adding in chopped jalapenos and bell peppers for a crunch. Yummy, your burger recipe is so delicious, I’m sure. I love Vidalia onions. Thanks for linking up with us at the #HomeMattersParty this week! 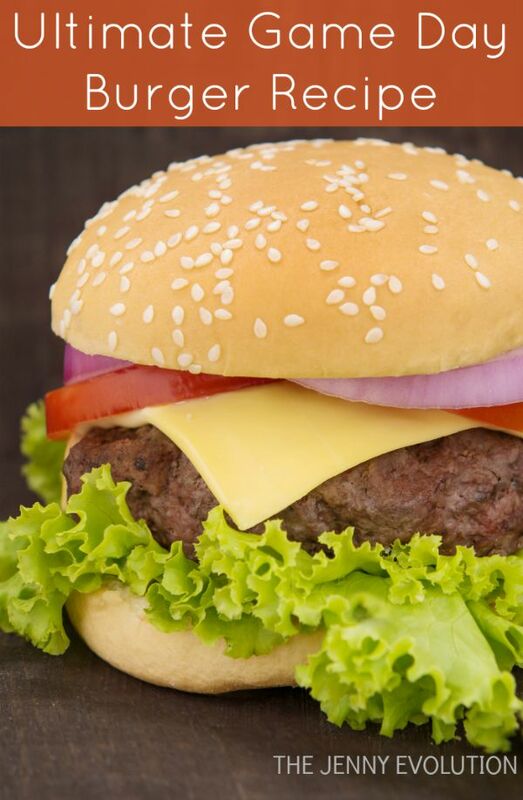 We just ate burgers last night, but after seeing this recipe we might need to make them again! Thanks for sharing. I love burgers and this one looks really good! I love the huge patty! 😀 Thank you for sharing at Fiesta Friday party! This is a great Burger, it looks so good! Hope you have a great Valentine Week and thanks so much for sharing with us at Full Plate Thursday!